Started by Alison John Oct 23, 2013. Started by Alison John Oct 8, 2013. Started by Alison John Sep 19, 2013. Started by Julian Sykes. Last reply by Julian Sykes Jul 6, 2011. You need to be a member of playARK - Pervasive gaming group to add comments! A creative morning that delves into ways in which place, experience and story can be explored through digital and analogue technologies. Against the noisy backdrop of investment in VR and AR can we create new dialogues with audiences that arouse the senses, engage the emotions, and that are attuned to the environment. The event will feature presentations from creative organisations and artists that have produced work at St Fagans National Museum of History. 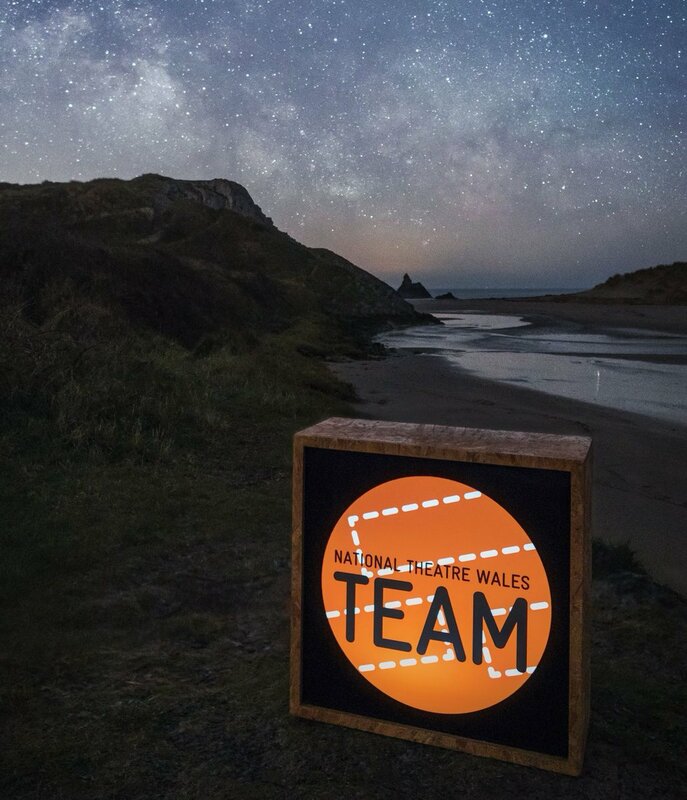 The event is aimed at anyone who is interested in creating digital and/or analogue site-specific projects that connect people, story and place. Talks and presentations focusing on exploration and discovery through creative practice. This will feature contributions from St Fagans' artists in residence, members of the digital team and researchers on immersive media. The morning session will be followed by lunch and networking. In the afternoon guests will be invited to take part in St Fagans' new immersive storytelling experience Traces (Olion) or can attend a games making workshop with yello brick producer Alison John (places for the workshop are limited to the first 20 sign ups). The February Edition of playARK After Dark is nearly here! This month we have some gaming guests who will be bringing some exciting games to playARK. Craig Quat from No Fit State will be introducing some circus games, Steve Donnelly our partner in crime will be running a new game he has been developing called DriftMob and yello brick will be introducing you to a big game of old school classic Werewolf! As always you don’t need to know any of the rules before you arrive, all you need to bring is yourself and a sense of adventure. Make sure you book a place! playARK After Dark proudly presents Santa's Snow Dash! A Christmas Street Game. Santa’s sleigh has crash landed in Cardiff and the presents have been scattered all over town in the mayhem. You must help Santa and his reindeer to find all the presents in time and save Christmas. But….be careful not all his reindeer are as helpful as they might seem and some of Cardiffs weirder inhabitants want the presents from themselves. Meet sleepy polar bears, mischievous penguins, and a couple of other surprises in your quest to retrieve all the presents. In teams of six Santa's Snow Dash will be played out on the streets of Cardiff City Centre. The game will last approximately 1 hour and 30 minutes, and don’t worry if you don’t have a team of six, we will place you in a team with some other fun loving individuals. After the game we will have a Christmas Party at the Urban Tap on Westgate Street with entertainment, mince pies and a prize for the best Christmas fancy dress. Please meet at the Urban Tap House at 19:00 to start the game. 1 x actor and 1 x actress required for voice recording as part of a location based audio narrative experience. Characters are roughly in their 30’s so we are looking for voices that fit that age range. The script is bilingual so applicants MUST be Welsh speakers. We are currently developing an audio based experience that can be accessed on the local cycle networks in the South Wales Valleys. Told through two voices, the narrative will guide participants on a unique adventure that aspires to inject a little extra imagination into journeys. The project aims to encourage new audiences to engage and offer an unique experience to cyclists and other path users. Auditions will take place on Wednesday 12th February 2014 in Cardiff. Please send a performance CV and voice reel (if you have one) to allie@yellobrick.co.uk by 12 Noon Friday 7th February 2014. Only two weeks to go until playARK Festival and Talks 2013. The Talks have a fantastic line up this year from an artist who uses augmented reality to create stories around her pottery, companies who are using the urban environment to create new theatrical experiences to exciting innovations in technology used in the classroom including the use of robots to connect children with autism to learning. We have a vast amount of games on the Games day including our headline game Block Party - a roaming theatrical game experience that takes place in Cardiff Bay.